Let’s face it, when a comedian only has 15 minutes to give an impression of what their comedy is all about, it seem’s an insurmountable task. Well, it seemed like a breeze for this rising comedic talent. 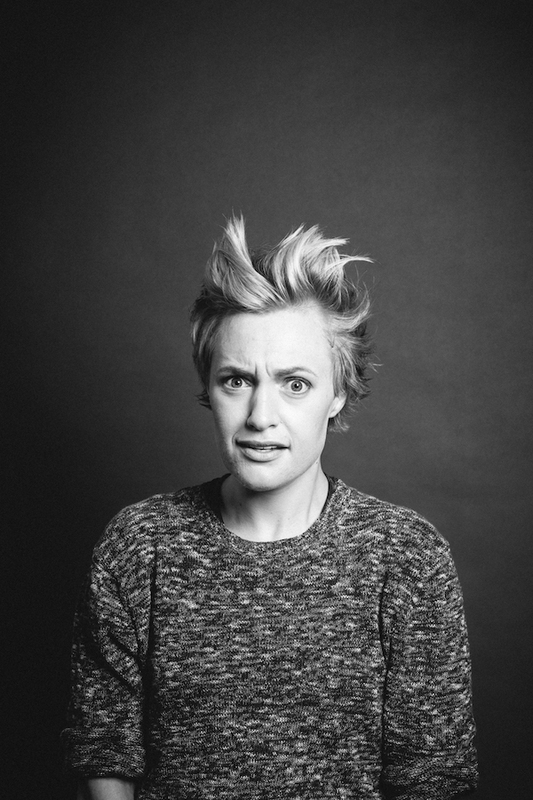 This summer we got a taste of EMMA WILLMANN’s comedic skills on NETFLIX’s second installment of the highly bingeable stand-up program THE COMEDY LINEUP. The currently streaming special included performances from fellow comedians, including Aisling Bea, Janelle James, Josh Johnson, JR De Guzman, Kate Willett, Max Silvestri, and Willmann’s “Inside The Closet” podcast co-host and pal Matteo Lane. The performance gives us a glimpse into the comedian’s small town upbringing, her unembellished familial interactions, her more unconventional experiences with dyslexia, as well as her first inklings of sexual interaction (to animated creatures). As a fast rising comedy star, Willmann has been a Comedy Cellar regular, has been featured in the Just for Laughs New Faces, headlined her own sold out show in The New York Comedy Festival, performed at The Bridgetown Comedy Festival, and performed standup on The Late Show with Stephen Colbert, Fuse’s Uproarious, Seeso’s Night Train with Wyatt Cenac, and The Guest List and AXS TV’s Gotham Comedy Live. Acting-wise, Willmann was cast by Judd Apatow on the HBO series Crashing, and, of course, played Valencia’s love interest on the award-winning CW musical comedy-drama Crazy Ex-Girlfriend. We had the chance to ask her about her favorite moments from The CW show (now in it’s fourth and final season), her small town heritage, preparing for the Netflix special, the fortunate Netflix booking with her close comedy friend Matteo Lane, and, her choice of high calorie treat. Meet your undoubtedly funny, new best friend (and possible Ellen DeGeneres stunt double)! COMEDY CAKE: I am doing everything in my power not to bombard you with “Crazy Ex-Girlfriend” questions. Breathe! OK, let’s start off with your “The Comedy Lineup” performance. By now you are an old pro at working on network television, but what’s it like performing comedy for streaming television? How do they compare? 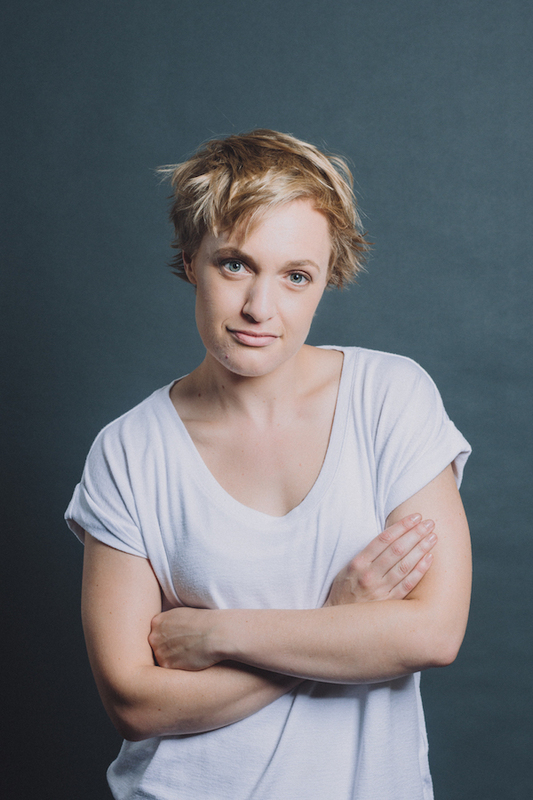 EMMA WILLMANN: Open invite to ask as many Crazy Ex questions as you want :) The Comedy Line Up was less intense then doing a five minute set. I MIGHT just be feeling that because I did Colbert again this past Friday (Sept 21) so can still feel the pressure! As a side note, Jessica Pilot the stand up booker and Vinnie her boss, are amazing and so supportive – they make a great environment. Both are intense – but I am much more used to doing longer sets, so 15 feels more natural. CAKE: What’s your usual routine for paring down a set for a major performance? How many preparatory sets does it usually take to have you covered for a big show? I was working on a five minutes about my sisters wedding. The Colbert booker pulled a few of the jokes – and wanted me to orient the set around those ideas, not the wedding. I felt grumpy about that because the set was working great at shows – WHY CHANGE IT? “Because the first few jokes sound overdone.” ZING. That will make a comedian change a line real quick. CAKE: On the special you talk about coming from a small town in Maine. What was it like growing up in a town probably smaller than most “big” city high schools? The gossip mill must have been epic. WILLMANN: So small. For awhile we had a stop light, just one blinking red light not a three light situation like big city people – but the blinking light was not needed so it got removed and there are no stop lights in town. Gossip is really never forgotten. And I looooove small talk, so when I go home I wanna pick up gossip right where I left off and luckily… so does everyone else :) I LOVE my hometown. CAKE: What’s been the hometown reaction to the Netflix gig? WILLMANN: Lots of support. Except people wanted to know why I changed the cops name. I had to for legal reasons! CAKE: Your mom comes off as quite the cool cucumber on the special, most especially with that “toy” story (totally unrelated to the Disney film, of course). Does she ever get embarrassed at some of the material you perform? Is there any subject matter that involves your family that is ever off the table? CAKE: Can we talk about you and Matteo Lane for a moment? How cool is that you both got to be on the same program? Did you hang out in Atlanta together for the taping? How did you two meet and did you hit it off from the start? WILLMANN: That was really fun! He had sent his tape in before I sent mine in and gotten approved. I actually wasn’t sure I would submit. I was in LA filming crazy ex and didn’t know i I would have time to record a submission tape with the filming schedule, but he kept saying to send something in – as did my booking agent at the time Tovah, who actually found a great tape from the All Jane Festival in Portland Oregon, and was able to send that in…we got approved and then it was an added bonus we were on the same day. We did hang in Atlanta! Matteo brought his friend Patti, who is now also my friend and we all walked around, went to the grocery store, and explored. CAKE: I must discuss the video where you, Matteo and pals disrupt the institutional order of the fast food checkout process? I think you may have made some minds explode. What made you preserve the moment for posterity? WILLMANN: HAHA!!!!! You have done your research! Originally we posted it to our Patreon account. The whole thing was so ridiculous that after awhile I just made the video public to everyone. We have a private Patreon for the podcast where we post behind the scenes stuff, so we originally made it for that. CAKE: Back to you and Matteo and “Inside The Closet.” What prompted you to create the podcast? WILLMANN: We had done a podcast trial run with Keith and the Girl and it got a great response so decided to create one. I also have a weekly podcast with Carly Aquillino called Secret Keepers Club and co host the Taylor Strecker Show Tuesday AM’s which also has a weekly podcast. CAKE: This one’s for podcast listeners, so if you had to decide between toaster strudel and Belgian waffles, which would win out? CAKE: What projects do you have coming up you’d like to mention? WILLMANN: I just filmed a pilot for a travel show with E! that has Jessica Biel as an AP, we will know soon if that will get picked up to series. I have tour dates this fall but my main focus is being the best version of myself – improving at acting, nailing auditions and creating my own scripted show. WILLMANN: OH WOW! Well, I cant help but have my favorite moment be… ANY SCENE with Rachel and her mom, I LOVE THE ACTRESS TOVAH, who plays Rachel mom – and the two of them is just electric comedy gold. I would say my specific favorite moment, besides anything with me and Valencia… would be when Rachel’s boss, Peter Gardner, comes out as Bi and how they introduced my relationship with Valencia and White Josh and her Boss. I also love Valencia’s character arch, and knowing how different the actress, Gabrielle Ruiz is from the character. Gabrielle is a great actress – singer, and dancer. The cast is very bizarrely talented. I ALSO will really hold dear how KIND and great Gabriella and everyone was when we did the call back, chemistry test between the characters. After we did the call back I knew no matter what happened with getting the part that I had a great feeling about it. Mentions: Follow Emma on Twitter, Facebook, and Instagram. Buy tickets for her live gigs HERE! Listen to the Inside The Closet podcast HERE.